On Wednesday, a video appeared on Facebook showing AirAsia’s partner ground crew mishandling bicycles that were transported back on a flight from Taiwan. The Facebook user who posted the video also claimed that there was damage done to her bicycle. What ensued next was public dissatisfaction at the budget airline’s poor handling of customer property. AirAsia quickly responded with two apologies, one from Group CEO Tan Sri Tony Fernandes, and another from AirAsia CEO Riad Asmat, who offered free transportation for bicycles throughout the month of April. With the whole world now seemingly always clued in on current events, any slip-up—no matter how big or small—will always have a chance of being picked up and spread online. In a recent case, AirAsia found itself in the spotlight, for the wrong reasons. At 9:26 pm on the 21st of March, a video appeared online that contained footage of AirAsia ramp staff mishandling bicycles that belonged to passengers. 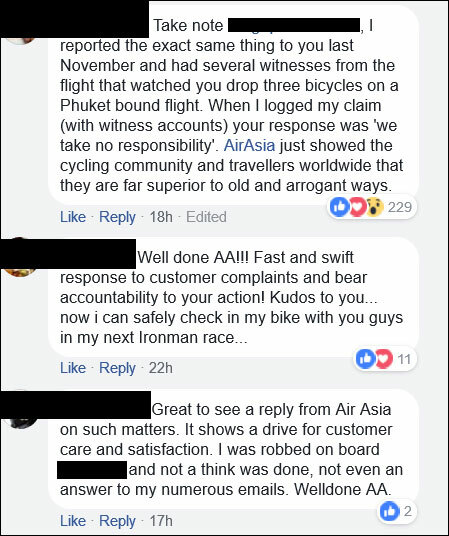 The video was posted by Fen Lim on Facebook, and showed two members of the AirAsia ground crew very roughly handling bicycles that belonged to passengers who were returning from a triathlon in Taiwan. These bikes were also used in the triathlon, and were presumed to be fairly costly. As expected, public outrage ensued. 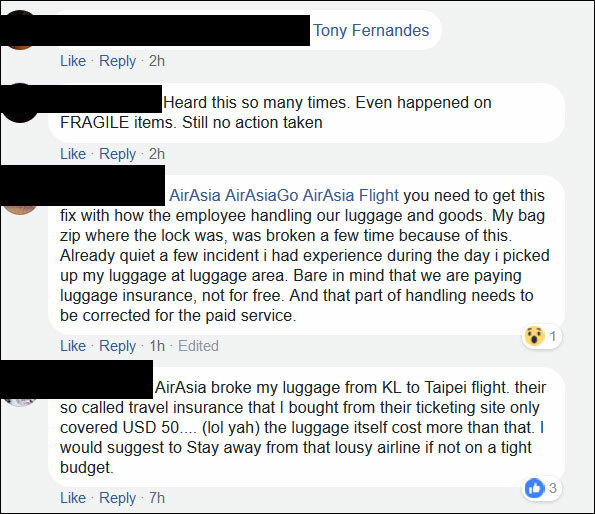 Comments on the post quickly appeared with some voicing their displeasure at having experienced similar incidents flying with AirAsia, and some others telling her to take things up with Tony Fernandes himself. 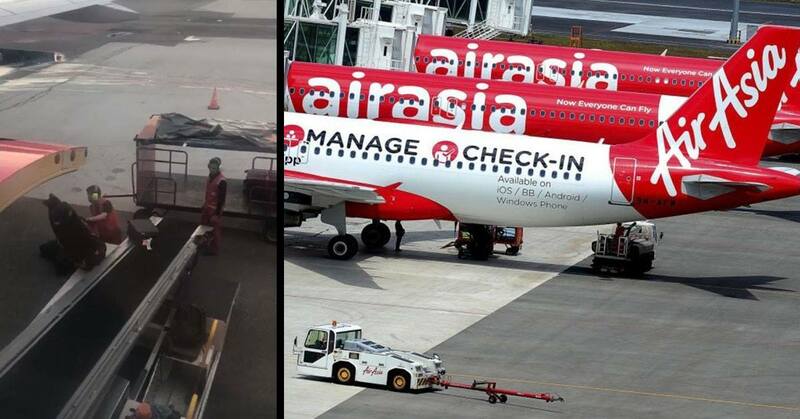 The incident and the disapproval that accompanied it was quickly picked up by AirAsia, with Tony Fernandes issuing an apology on his public Facebook page the very next day at 12:44 pm. True enough, Riad Asmat himself then appeared in a video on AirAsia’s official Facebook page just over two hours later issuing a public apology. “As a cyclist myself, I was pretty disturbed when I saw the actions of our ramp staff. Rest assured, we’ve taken action. We are looking into the matter very seriously and stern action will be taken accordingly,” Riad said. In the video, Riad then also made a peace offering to the bike-riding public in the form of free bike transportation for the month of April. The responses to the apology and offer for free bike transportation was mixed. 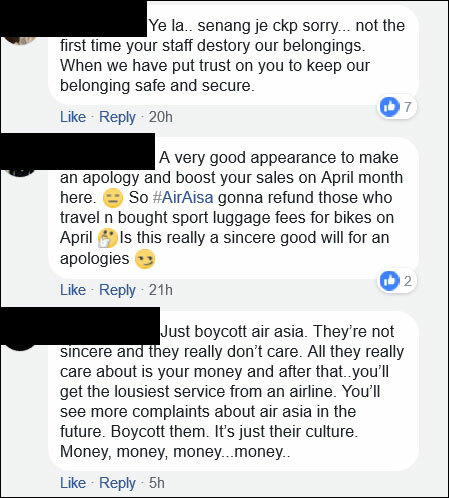 There were some who were cynical towards AirAsia’s response, and dismissed it as nothing more than an expected PR-driven response. But there were also some who praised AirAsia for their swift acknowledgement of their mistake, and commended their sincerity. Ultimately, it was quite apparent that things could have gotten way worse had AirAsia failed to respond as they did. From all this, there were a few lessons to be had for other corporations finding themselves in a similar pickle. In providing a response to the problem as quickly as they did, AirAsia have demonstrated a keen understanding of how to deal with a crisis. From the time the original video was posted, AirAsia managed to issue a comprehensive apology as well as an olive branch to the public all within the span of less than 19 hours. By doing this, they have managed to rescue themselves from what could have been a full-blown PR catastrophe—and potentially millions in revenue. As demonstrated by Facebook in the latest Cambridge Analytica fiasco, a company could stand to lose much more than just brand integrity in the event of a PR disaster. Amid the chaos, Facebook chairman and CEO Mark Zuckerberg was called out for failing to respond in a timely manner, with his apology only appearing on Wednesday this week—four full days after news of Cambridge Analytica’s misuse of data broke last Saturday. And in just two days, the massive social network lost in excess of US$60 billion (that’s the entire market cap of car maker Tesla), with shares continuing to tumble as investors lose confidence in Facebook’s leadership, with calls for Mark Zuckerberg to leave his leadership position now getting louder. The other thing demonstrated by AirAsia through their response was an understanding that consumers will never settle for just lip service. By offering to provide free bike transportation for the month of April, AirAsia acted on their intent to right their wrongs. Their fee-waiving have managed to convince many of their willingness own up to a problem they created—regardless of whether people believe in their sincerity. In doing this, AirAsia are quietly setting themselves up as a business with a trustworthy image, something many other brands often struggle with. The fundamental lesson remains that companies should always prioritise speed and demonstrate sincerity in the solving of a widespread problem where consumers are involved, especially when news spreads faster than you can say “crisis”.